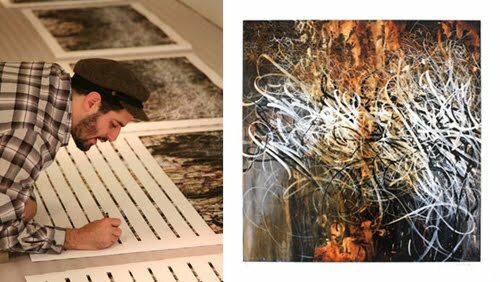 Elms Lesters Gallery in London has announced that it will be publishing of a series of three exclusive limited edition prints by José Parlá. The series is published by Elms Lesters Painting Rooms and printed at the renowned Mat Sant Studios in London, combining the highest quality giclee process with over-layering of Parla’s trademark, free-flowing calligraphic markings using multiple hand printed silk-screens, capturing the very essence of his original paintings. The gallery will be open on Saturday 5th December between 12 - 6pm to mark the occasion. The prints will be on show and the majority of the editions will be available to purchase in the gallery during the exhibition. A number of prints will be reserved for International collectors. More info on the Editions over on their website.